Baking Soda — OU-certified baking soda is permissible without special KLP certification. Cocoa Powder — Hershey’s OU-certified, regular (not dark) cocoa powder does not need a special Pesach certification. Coffee — Unflavored, ground coffee that has a certification year-round is acceptable for Passover without special certification. Folger’s and Taster’s Choice Instant coffee are acceptable without special Passover certification. Folger’s Decaffeinated Instant coffee is also acceptable without special certification. All other brands and flavors require special certification. Eggs- including pasteurized eggs, do not require a Passover certification. Frozen Fruit — Unsweetened whole frozen fruit, without any other ingredients, does not require special certification. Juice Concentrate — OU-supervised unsweetened orange and grapefruit juice concentrate may be used without special Passover certification. Bottled juices, on the other hand, require a Passover certification. Milk — Milk does not require a special certification (nor a regular certification year-round). 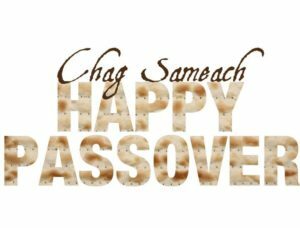 However, since milk contains added vitamins, which have a slight chametz risk, it is recommended to purchase your milk before Pesach. Nuts — Whole or chopped raw nuts, without preservatives or additives such as BHT or BHA, do not require a special KLP certification. HOWEVER Pecans do require certification. Olive Oil — all extra virgin olive oils are Kosher for Passover, as long as they have certification. Raisins — OU-certified raisins are kosher year round, including on Passover, without special certification. Salt — Non-iodized salt does not require special Passover certification, nor does sea salt. Regular, iodized table salt does require certification. Tea Bags — Black, white and green regular tea bags (not flavored and not decaffeinated) are acceptable for Pesach without special supervision. In addition, all Lipton unflavored decaffeinated tea bags are acceptable without special supervision. Water — all unflavored bottled water, seltzer and sparkling water is Kosher for Passover, even without any certification. 1 cup molasses =1 cup honey (and vice versa) now that the flavor will be different. 1 cup wine= 13 tablespoons water, 3 tablespoons lemon juice and 1 tablespoon sugar. Mix together and let set for 10 minutes. Italian Seasoning= 1/4 teaspoon EACH dried oregano leaves, dried marjoram leaves and dried basil leaves plus 1/8 teaspoon rubbed dried sage. This can be substituted for 1 1/2 teaspoons Italian seasoning. Curry Powder= 2 tablespoons ground coriander, 1 tablespoon black pepper, 2 tablespoons red pepper, 2 tablespoons turmeric, 2 tablespoons ground ginger. Makes 2/3 cup. Pancake syrup=use fruit jelly, not jam and add a little water to thin. I always like to combine the jelly and water in a microwave safe bowl and heat it gently before I serve it. Flavored Vinegar= lemon juice in cooking or salad, grapefruit juice in salads, wine in marinades. This soy sauce substitute doesn’t taste exactly like the real thing, but it makes a flavorful alternative for Pesach stir fry. Combine all the ingredients. At this point, you can either a) use the sauce as is, leaving for an hour to give the flavors a chance to blend, or b) for a thicker, richer sauce, boil the liquid until it is reduced by half, about 3 tablespoons. Store in a sealed container in the refrigerator. Makes 2/3 cup. Use the sauce within 3 – 4 days. In a small saucepan combine all the ingredients EXCEPT the potato starch and water. Whisk to combine. Gently start to heat the mixture. In a separate bowl whisk together the potato starch water until smooth. Immediately whisk the mixture into the warming liquid and continue stirring and cooking just until the mixture starts to thicken, slightly. Immediately remove from heat and cool. Store, covered, in the refrigerator. It’s creamy and you can use it in any recipe that calls for sour cream. It refrigerates well. Cover cashews with water and soak for a few hours, or overnight. Pour off all water, and place nuts in food processor. Add 1/4 cup cold water, salt, vinegar and lemon juice. Puree for 3-4 minutes or until completely smooth and creamy in consistency. Use in any recipe that calls for sour cream. Refrigerate in an airtight container for up to a week. Makes 1 cup. 1 egg= 1 ½ tablespoons water, 1 ½ tablespoons oil, 1/2 teaspoon potato starch 1/2 teaspoon baking soda. It works well for up to 2 eggs. You can also try 1/4 cup of applesauce = 1 egg but only for some of the egg in a recipe. Combine all ingredients in a heavy, large pan.Stir and bring to a boil.Reduce heat to a simmer and put cover on it for 3 minutes to get sugar crystals off the sides of the pan. Uncover and cook until it reaches soft ball stage.stir often.Cool syrup and store in a covered container at room temperature. OYSTER SAUCE SUBSTITUTE (great with fish). In a sauce pan combine the bouillon, sugar and boiling water. Boil for 2 to 3 minutes. While it’s boiling, in a cup combine the potato starch and cold water,mix to combine and add mixture to the boiling broth. Simmer, whisking constantly until the mixture thickens. 1:1 substitution in any recipe calling for sweetened condensed milk. Can be easily doubled or tripled but may need additional simmer time. In a small/medium size bring the coconut milk and bring to a boil. Allow to boil for 5 minutes, whisking continuously. Reduce to a simmer and add in the powdered sugar. Whisk until the sugar is fully dissolved. Add in your salt and vanilla (if using) and allow to simmer until the mixture has reduced by half, about 30-40 minutes.Cool and it can be used immediately or stored in an airtight container for up to 5 days in the refrigerator. peel the bananas, cut into pieces, place them in a re sealable plastic bag and freeze them. When the bananas are frozen hard toss them into a food processor and process until it looks like soft serve ice cream. You can eat it immediately or add some of the additions below. If you are adding stuff, you’ll need to freeze it for at least 45 more minutes before serving. If the banana mixture is too thick you can add a little coconut or almond milk. Use 3 bananas. Add 1/4 tsp pure vanilla extract, pinch salt, and 3 tbsp cocoa powder. Add 2 tbsp peanut butter for a Reeses peanut butter cup! WINE HACK: It’s not unusual to have leftover wine after the Seders. Get some plastic ice cube trays and pour the remnants of the bottles into the trays and freeze them. Then, when it’s frozen you can store the cubes in a reseal able plastic bag and use the cube-ettes to flavor soups, stews, stocks and any other dish at any time of the year. STRAWBERRY HACK: Pull up the leaves so they’re not laying against the berry. Using a drinking straw, starting at the bottom of the berry push the straw through the fruit and the stem and leaves with come out. AVOCADO HACK: Look at the small little round stem attached to the top of the avocado. If its hard to remove, it’s not ripe, if it’s easy to remove it’s good to go and if its gone and dark brown around where it was, it’s probably over ripe and have brown areas inside. TOO MUCH SALT HACK: If you’re cooking a soup and it’s too salty, just peel and slice 2 potatoes into quarters and put them in the soup. The will absorb some of the salt. No potatoes? Make matzo balls without salt and add them to the soup. Even if you don’t serve them with the soup they will absorb some of the salt. ONION HACK: Freeze the onions for 15 minutes beforehand you chop them. However, this is only good if you’re cooking the onions because they will be a bit soggy when they thaw. HARD BOILED EGG HACK: Cook your eggs and store them in the refrigerator for 3 to 5 days before you need to peel them and serve them. They are so much easier to peal when they are cold. You can crack them, pour hot water over them then peel. The shell comes right off. GOLDEN EGG HACK: For a really COOL looking hardboiled egg shake your eggs very vigorously for about 3 minutes and then boil them The egg comes out totally yellow!. POTATO HACK: To keep potatoes from sprouting buds, place an apple in the bag with them and keep them in a cool dark space. SQUASH HACK: Use an ice cream scoop to remove seeds from squash. The edges are much sharper than a regular spoon. COFFEE HACK: Pour left over coffee into a plastic ice cube tray and freeze it. When you make coffee and want to cool it but don’t want to dilute it pop in a cube and voila, great coffee at the perfect temperature.